Welcome and thanks for your interest in Japan Day! Japan Day is a unique event in NYC that draws about 50,000 people to come and learn more about the Japanese culture and language. There are multiple activity tents, and food tents have also been added to the Japan Day 2013 line up. Hills Learning was fortunate enough to be selected to teach Japanese at Japan Day in 2013! Here’s more information about the language tent, activities in general, location, and timeframe for Japan Day 2013. The language tent at Japan Day will be manned by Hills Learning, a language school in New York City that teaches Japanese to all ages and offers group as well as private classes. The activity for the day will be Karuta, a fun interactive card game that will teach the Japan Day 2013 vocabulary. The activity actually encompasses all levels, beginners learn the basic vocabulary where as intermediates and advanced students can form sentences with the vocabulary or also be challenged by flashcards and other resources the teachers have brought for the event. The language tent is located towards the entrance of Japan Day on 72nd street. The tent is located where the red arrow is pointing. It will be in the same tent as the Hello Kitty activity being held at Japan Day 2013. The Hello Kitty Activity is also quite a popular tent, so please don’t forget to visit that along with the language tent. Address – http://maps.google.com/maps?hl=en&tab=wl – Here is a link to where Japan Day is according to Google Maps. Please note, to get to Japan Day you can enter either from the West or East side of Central Park and keep walking along 72nd Street. The bandshell area is where the main stage is located. The Japan Day website also lists 69th street and 5th avenue as the main entrance. So you can enter from that location and go north, or just follow our suggestion of coming in on 72nd street and then head south. Time – 10:30am to 4:30pm is the official timeframe for Japan Day. This is when the activity tents and the stage performers will be working. However, many activity tents will be there and setting up from 9am or so. 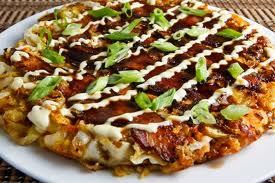 Please note, the food tents are only from 11:30am to 2:00pm and are available on a first come, first serve basis. 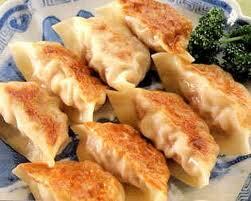 Gyoza – Gyoza are Japanese dumplings, either fried or boiled, usually filled with pork and / or vegetables. 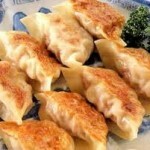 They’re boiled on one side and crispy on the other side, definitely a recommendation! Miso Soup – The classic Japanese soup, Miso is a great protein and a delicious middle of the day snack. Usual ingredients in the soup are seaweed and tofu. 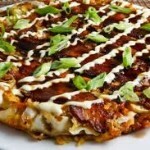 Okonomiyaki – (Make your own pancake) – Although they’re Japanese style pancakes, they’re not the typical western breakfast food. In fact, they’re eaten for lunch or dinner, and contain cabbage, meats and other vegetables. Highly recommended for someone that hasn’t tried one previously. Ramen – Ramen is a classic offering of Japanese food and please keep in mind this isn’t the typical grocery store style “ramen” noodles. Rather, it’s a full bowl of ramen with vegetables and meat included. Highly recommended! Calligraphy – An opportunity to learn about brush strokes and how to write characters, the calligraphy tent is a traditional arts tent and a very popular attraction. Hello Kitty + Language (Sharing a tent) – Learn Japanese at Japan Day! Hills Learning teaches Japanese through a fun and interactive karuta game. Hello Kitty is in the second half of the tent, which is a very famous Japanese children’s icon. Kabuki Face Painting – This is the only activity tent in the bandshell area with the performers. Very popular tent with the kids! Origami – Another classic Japanese art, people enjoy learning how to do various origami shapes and they also get a take home prize. Yo yo Fishing – Quite a popular activity, this is run by the JET Organization and the Japan Society. Get ready for fun with balloons! Yukata Try On – A Yukata is traditional Japanese dress, basically a version of the “kimono” but can also be worn easily in summertime. The yukatas are also in general less elaborate and less expensive than the Kimono. This entry was posted in Japanese Events in NYC by learnjapanesehl. Bookmark the permalink.